Greenmore Farm Animal Rescue has been rescuing unwanted, neglected and abused animals since 2010. We are dedicated to diminishing the suffering of these animals and providing them with food, shelter, and healthcare. Through our nurturing, passion, and training these animals become suitable pets for adoption. The animals are rescued from several locations throughout the US as the animals become available or the need to rescue arises. Rescue and care is conducted on a 24/7 basis. Donations are accepted for help with Veterinary care and daily operational costs for running our Kennels. We are a 501c3 and rely solely on donations to continue to help these animals in need. Greenmore Farm is a 6-acre farmette located in Southern Chester County, PA. The farm currently consists of a 7 stall horse stable, 4 fenced pastures, several sheds and a chicken coop. Rescue Dogs are housed in a kennel on the property as well as in foster homes. The farm is managed and maintained by Julia Altman. As of Summer 2018 we have saved over 1,900 lives! 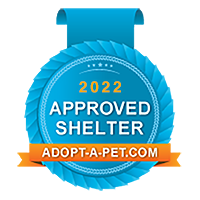 We are a non-profit, no-kill shelter. IN 2018, WE EXCEEDED OUR GOAL OF 500 LIVES RESCUED!